Braille books are big. Dauntingly so. For example, when Harry Potter and the Order of the Phoenix was translated into the system, it was over 1,000 pages across 14 volumes of thick paper. Well, researchers at Harvard have taken a big step into making this a thing of the past with reprogrammable braille. The idea was to create an information storage system that could be manipulated at will. And, weirdly, the scientists from the Harvard John A. Paulson School of Engineering and Applied Sciences (or, for less of a mouthful, SEAS) were influenced by a fruit bowl when designing it. Basically, it’s is a thin, curved elastic shell on which braille-indents can be made with a stylus. Importantly, these indents can remain after the force creating them has been removed. 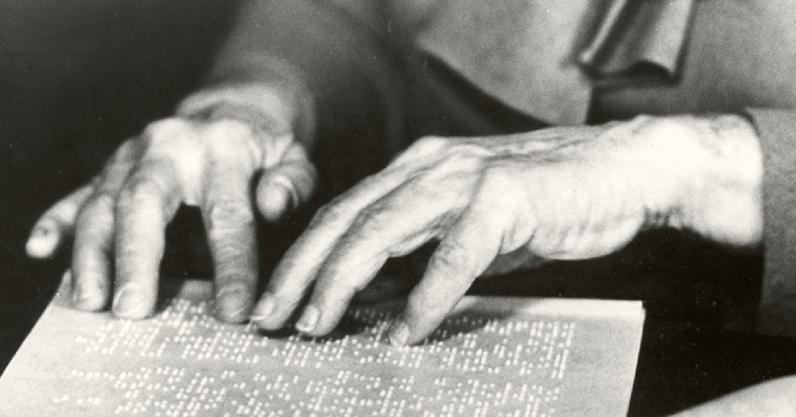 In many ways, it’s similar to how braille books are produced now, but with this method, the text can be changed at will. What separates this from the braille e-readers that already exist – such as the BLITAB – is the characters can be supplanted on the surface without the need for an underlying lattice. This gives creators much more flexibility in form and display. In other words, as this approach is scale-independent – meaning that it will work no matter the size of the object being imprinted upon – it could also function as a way of storing data. This reprogrammable braille technology also opens up the idea of display systems that can be flexible and fast-altering, changing how the blind and visually-impaired interact with screens. And, hopefully, will make reading Harry Potter on the bus much, much easier.